With SMART MIRROR our aim is to transform the ordinary and many times not so pleasant dressing-room experience into a fun activity. The mirror lighting minimises the occurrence of harsh and unrealistic shadows, renders colours and skin tone naturally, flatters facial features and softens all body shapes. Looking in the smart mirror, your customers have never seen a more natural picture of themselves and the clothes they are about to buy. Pi-LED technology, it prides itself on black body curve and a great CRI 90, which is necessary in any space where you need to recognise colours precisely. With control buttons it is possible to reprogramme and thus fully customise setting for customers’ needs as intensity, colour temperature of light and timing of sensor. Control buttons have different CCTs suitable for simulation of real-life scenes. The first button, called EVENING, has a warm light of 2,500 K suitable for and evening dress, the second button OFFICE has a neutral temperature of 4,000 K and is the most appropriate for everyday items, and the third button DAYLIGHT with cold temperature of 6,500 K is the best for outdoor clothes. Thanks to both direct and indirect lighting the mirror diffuses soft light which eliminates shadows, renders colours and skin tone naturally, and flatters facial features. Movement sensor provides for energy saving. It turns off when the fitting room is not occupied and turns on automatically once someone enters the space. Sensor is attached to an adjustable mechanical holder so that the detection area can be adjusted according to dimensions of individual fitting rooms. It is also possible to hide the sensor behind the mirror, which comes in handy during transport and installation of the mirror. High colour rendition light sources are mounted down the length of both sides and the front part of Smart Mirror to soften all body shapes, including facial features, and to show natural skin tones. Contrary to the usual harsh lighting in fitting rooms coming from above that we almost never experience in everyday life, with Smart Mirror customers can see themselves as they are perceived in real-life situations. Smart Mirror lighting uses the latest Pi-LED technology allowing the mirror to simulate the environment in which the product will be used. Soft, warm light is perfect for an evening dress, while cold white light is ideal for outdoor wear. Choose neutral white light to assess items for workdays at the office. With the latest technology we can utilise the complete white light spectrum – from cold white 6500K, through neutral white 4000K on to warm white 2700K. The mirror can be controlled by touching the icons of an intuitive control panel, built in to the surface of the mirror. In addition, as fitting rooms have huge energy saving potential, a built-in movement sensor turns the light on when a customer enters, and switches it automatically off after no motion is detected for a defined period of time. 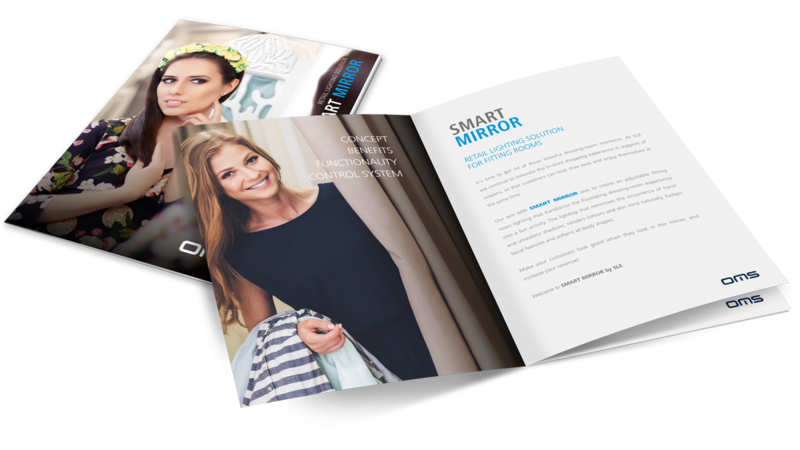 Download the SMART MIRROR solution brochure to read more about the concept and its benefits. 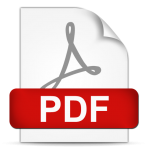 You can learn about retail psychology in our Right Light book for Retail. Innovative Smart Mirror solution for retail is compatible with the latest metric systems which allow to measure and analyse customer behaviour. Subsequently, the store can upgrade its layout and appearance, its range of products and services, optimise its philosophy, and eventually increase sales and nurture client loyalty. Metric systems installed within lighting is a brilliant idea as it combines the power of each tool into one powerful goal all retailers dream of: know all about the customers and use the data to sell like never before.